1983: a Sunbeam engineer warned the company that the blanket’s circuitry was unreliable and could result in as many as five hundred fires a year.When you purchase a product, you expect it to work well and not to endanger you and your loved ones. Unfortunately, that’s not always what happens. Some products have a history of endangering the health and, sadly, even the lives of consumers. The Sunbeam electric blanket is one such device. Concerns about the product are a matter of public record dating as far back as the 1980s. 1995: the Consumer Product Safety Commission began investigating Sunbeam electric blankets. Late 1990s: Sunbeam received over 1500 complaints each year regarding fires caused by their electric blankets. 1999: ABC’s 20/20 news program ran an exposé on Sunbeam electric blankets. Personal injury lawyers have worked hard to help victims recover payments from the manufacturers of this dangerous product in order to help them pay for their long and grueling recoveries. In 2008 a queen-sized Sunbeam electric blanket caught fire, burning a woman’s hand and resulting in damage to her mattress. Also in 2008 an elderly woman received burns over thirty-five percent of her body from a fire in her bed; a jury later determined that her Sunbeam electric blanket played a role in the fire. 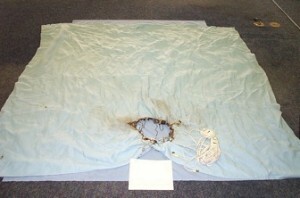 In March 2011 a Sunbeam electric blanket used by a woman in Illinois caught fire “suddenly and without warning,” resulting in burns to the victim and damage to her property. If you or someone you love is a victim of an electric blanket fire, whether or not it was a Sunbeam electric blanket, please contact our law offices. At theWarshauer-McLaughlin Law Group, P.C, our personal injury lawyers have years of experience helping clients deal with such claims. Over 33 years’ experience as trial lawyers. Nationally recognized expert on electric blanket fires. Focus on representing victims of defective medical devices and consumer products. Author and speaker regarding product liability cases. Please contact the Warshauer-McLaughlin Law Group, P.C, at (720) 420-9800 or via email. We are “Committed to Justice, Truth, and Safety”—and we can help!